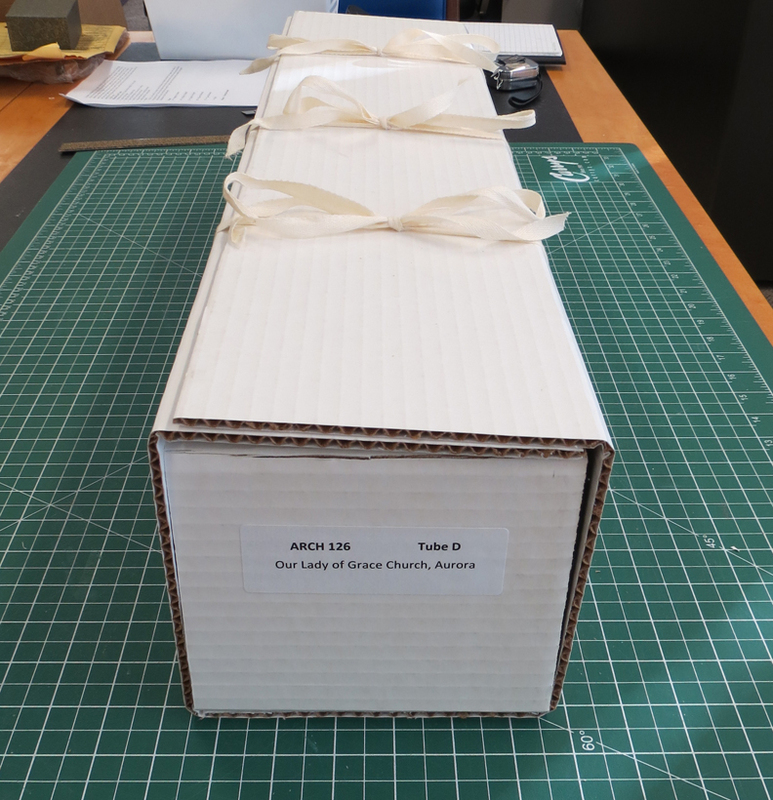 Here at the Archives of the Roman Catholic Archdiocese of Toronto, our holdings include over 1,000 architectural drawings, with further accruals being accessioned regularly. 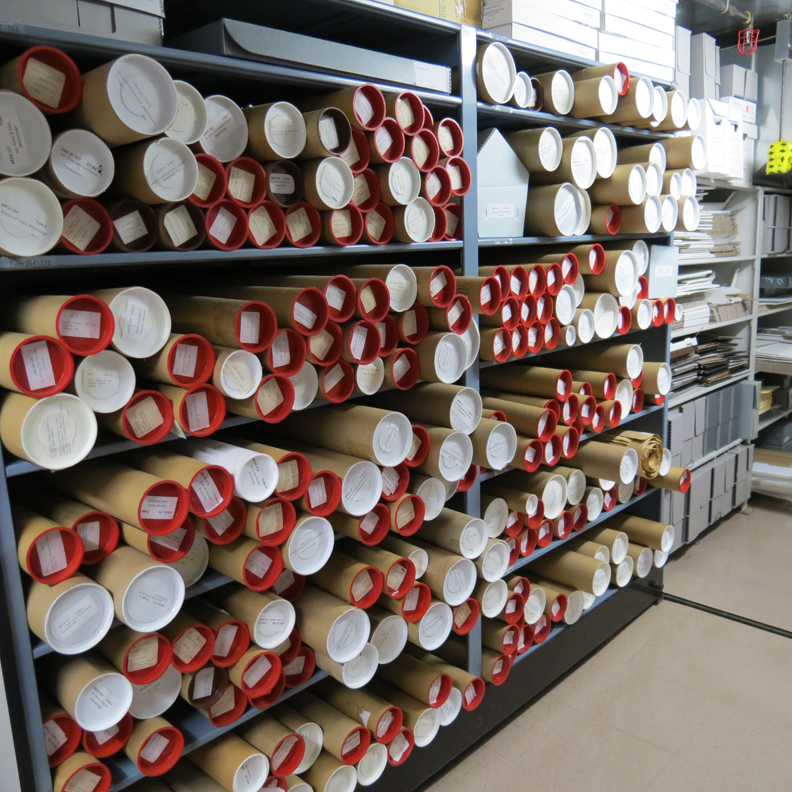 The majority of these drawings are stored in tubes, as seen below. Once I realized that tubes were not a viable option, this forced me to get crafty. 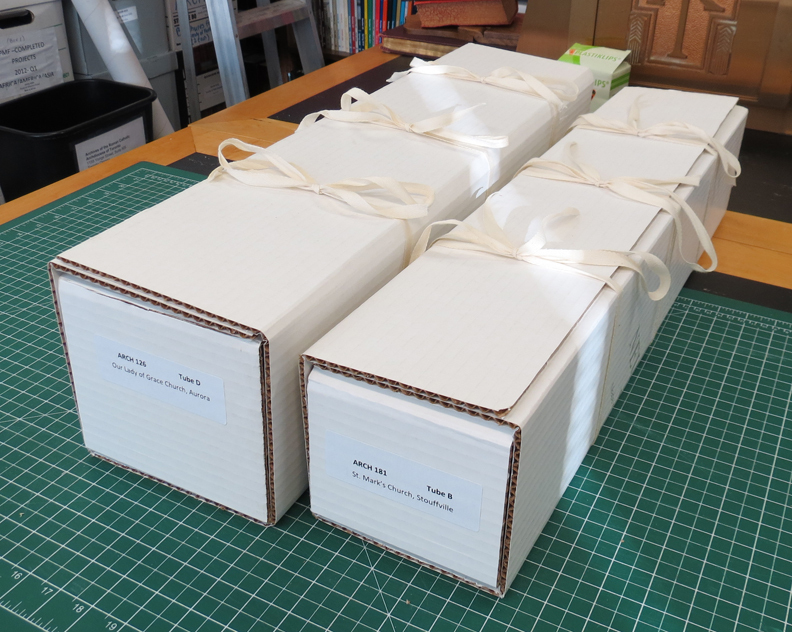 Scouring the web, I found a tutorial for making a non-adhesive phase box for a rare book. I was determined to adapt this simple method to suit the architectural drawings. After my first box was a success, I decided to create my own tutorial as I worked through my second box. 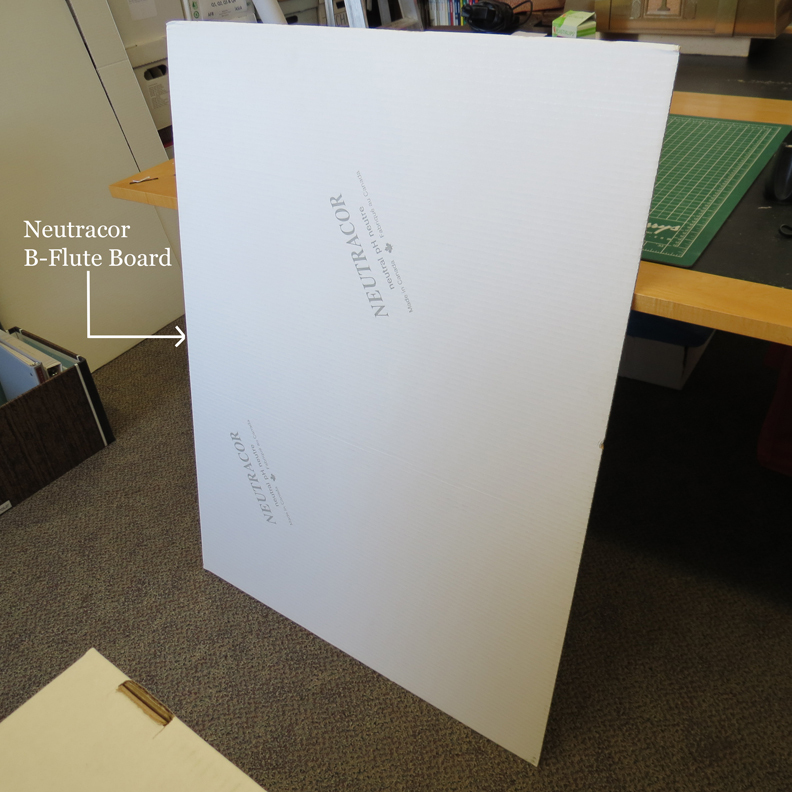 I used Neutracor B-Flute Board, but you can use any archival board depending on the amount of support your object needs. 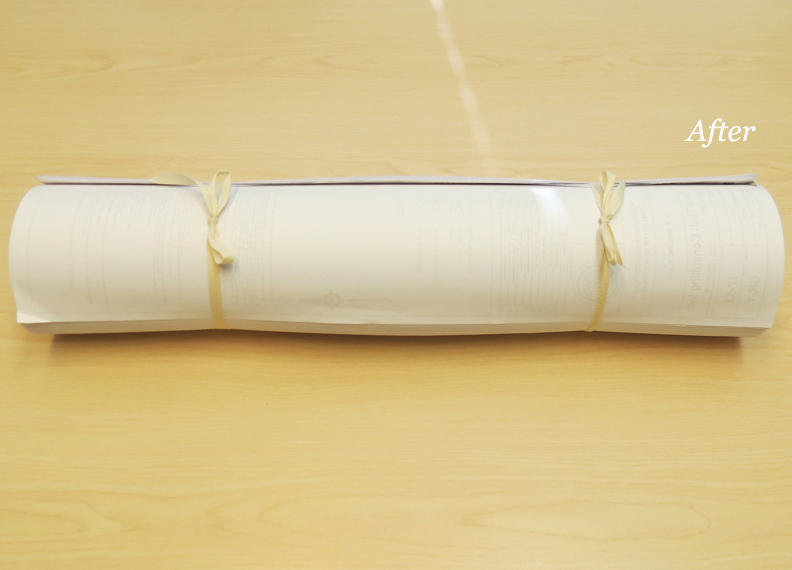 To prepare the architectural drawings, roll them tightly and secure the roll with cotton tape. 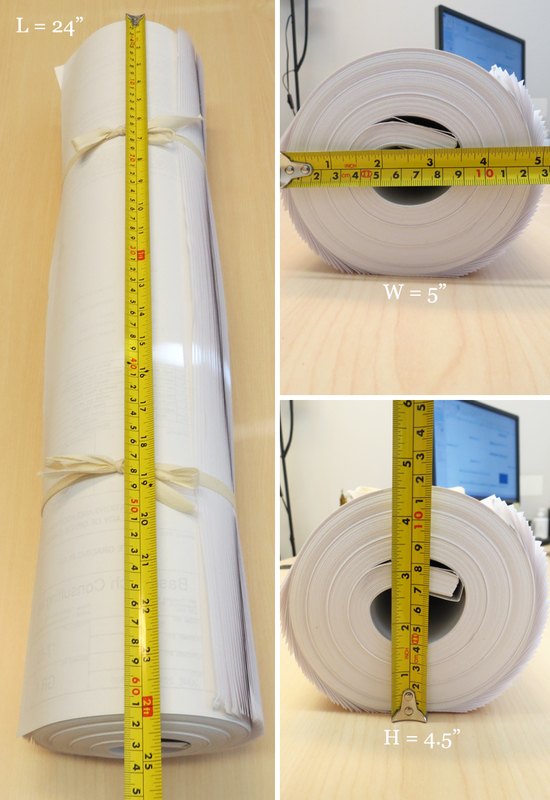 Next, measure the roll and record its length, width and height. 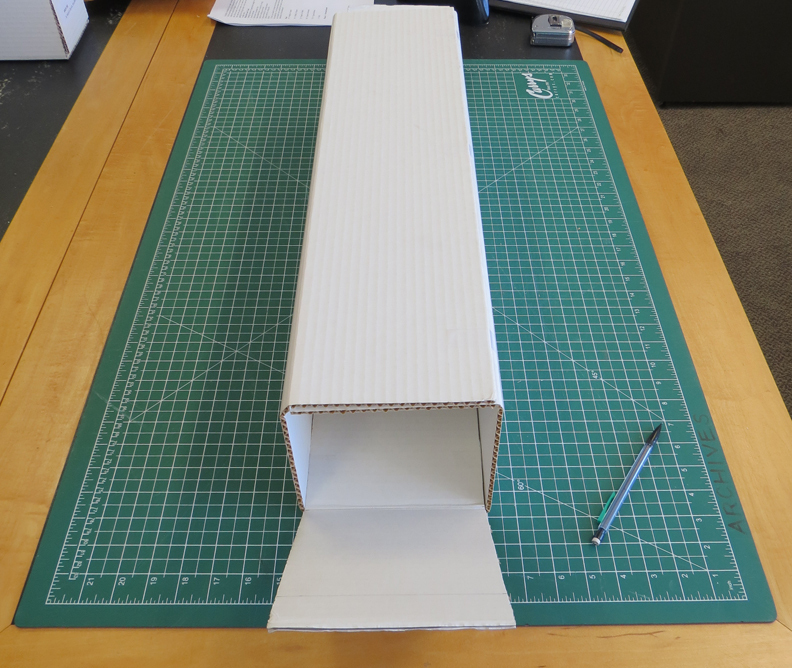 *To ensure that the box would fit the roll, I added an extra inch onto each measurement. I also made the height and width the same measurement so that the box would be a perfect square. The first piece that is cut is the vertical piece. This is the piece that the roll will sit on. It will be need to be wide enough and long enough to accommodate the object's length, width and height. It also requires extra board to serve as flaps. 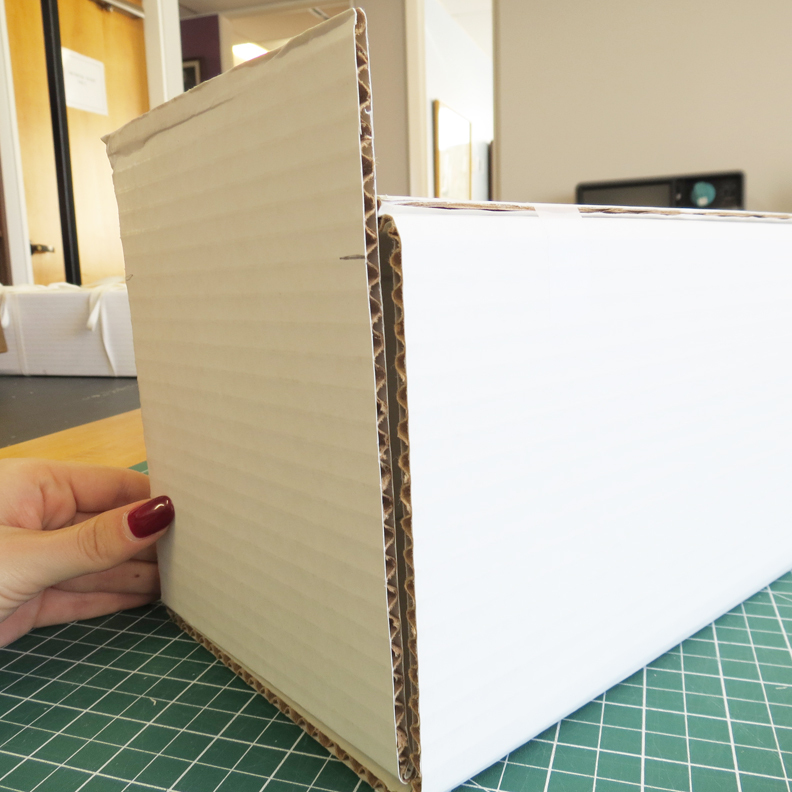 Ideally, the length of each flap would measure half the length of the object (in this case, 12.5") in order to cover the entire object once they are folded down. Unfortunately, my board was not long enough for this, so I used what board was left. 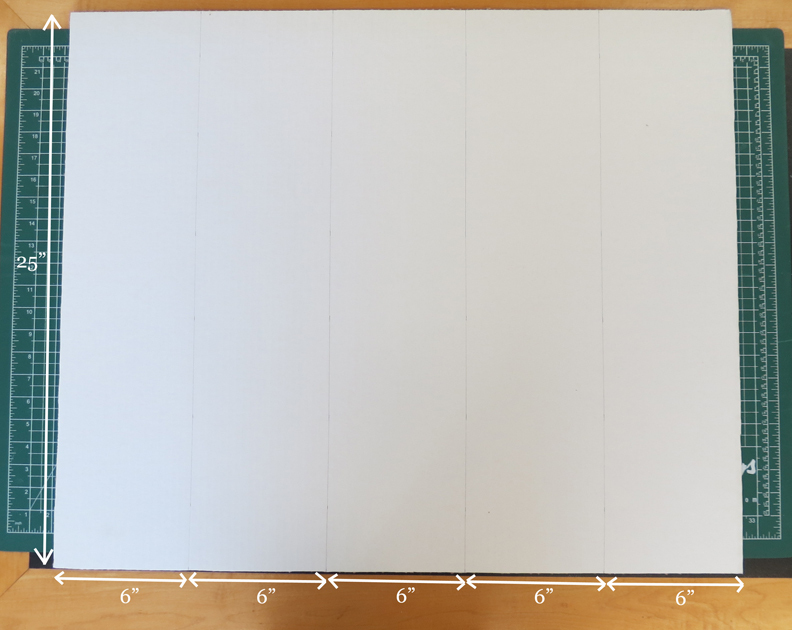 Using a pencil and ruler to make the fold lines, carefully fold the board. 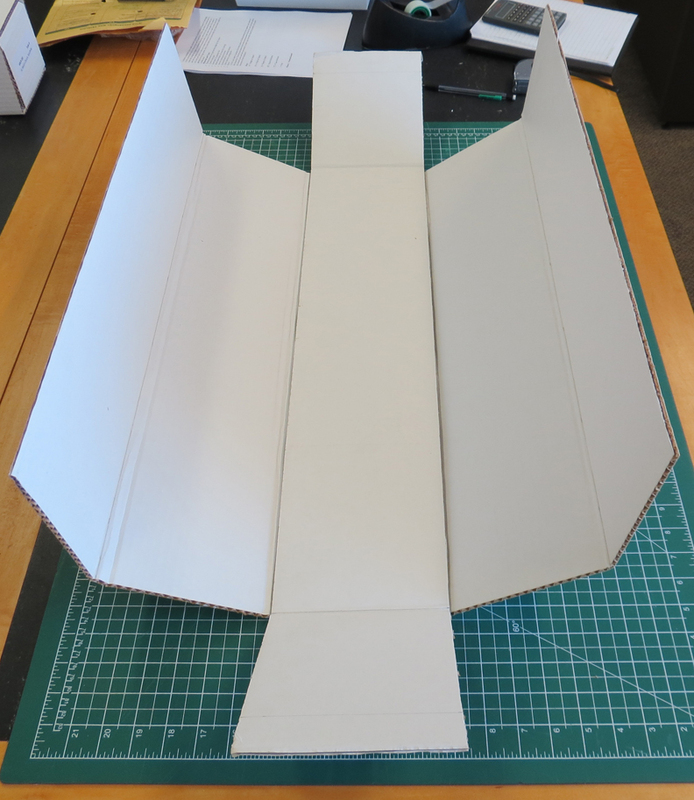 I refrained from folding the flaps until assembling the box to ensure that everything lines up in the end. The second piece that is cut is the horizontal piece. 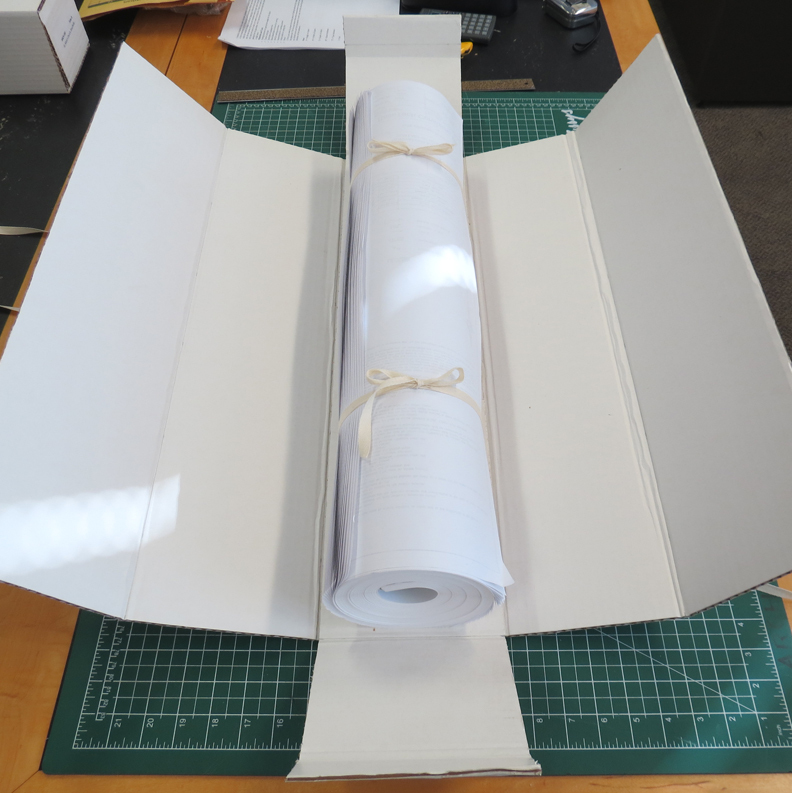 This is the piece that wraps around the entire roll, enclosing it in a box. 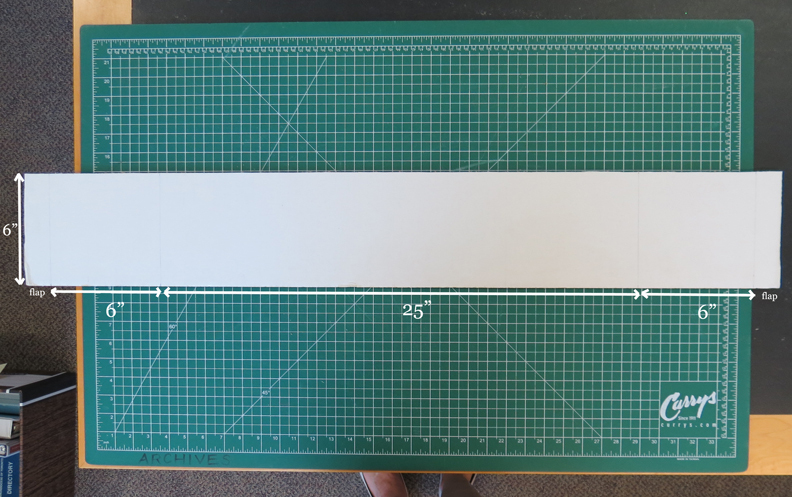 Using a pencil and ruler to make the fold lines, carefully fold the board. 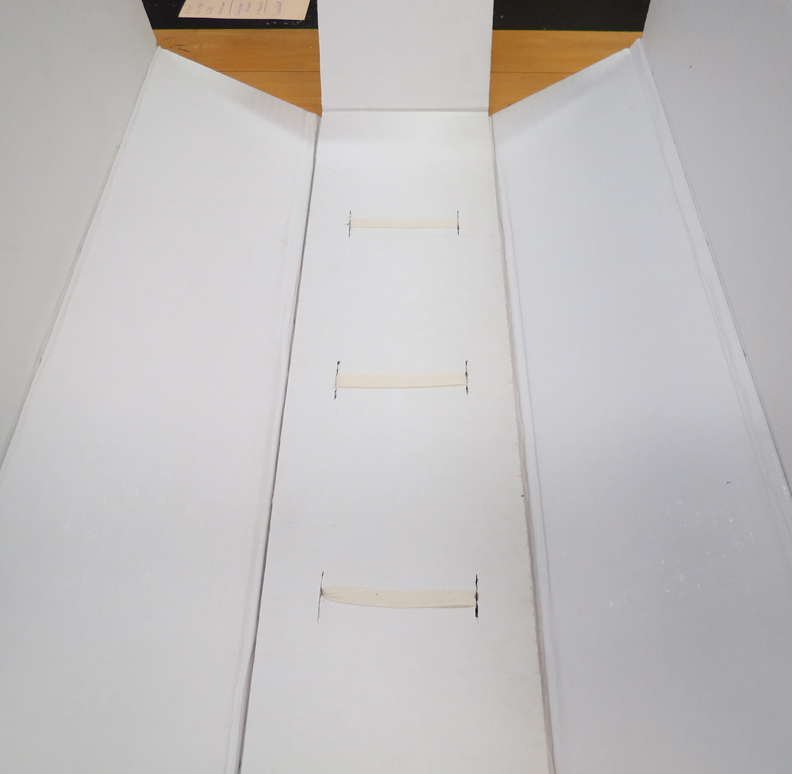 To start assembling the box, the vertical piece is placed on top, with the horizontal piece acting as a cradle. Use tape to temporarily hold the pieces in place. This is where I took a moment to assemble my box in order to determine where the flaps need to be folded. Folding the horizontal piece together, you can use tape to temporarily hold the box together. 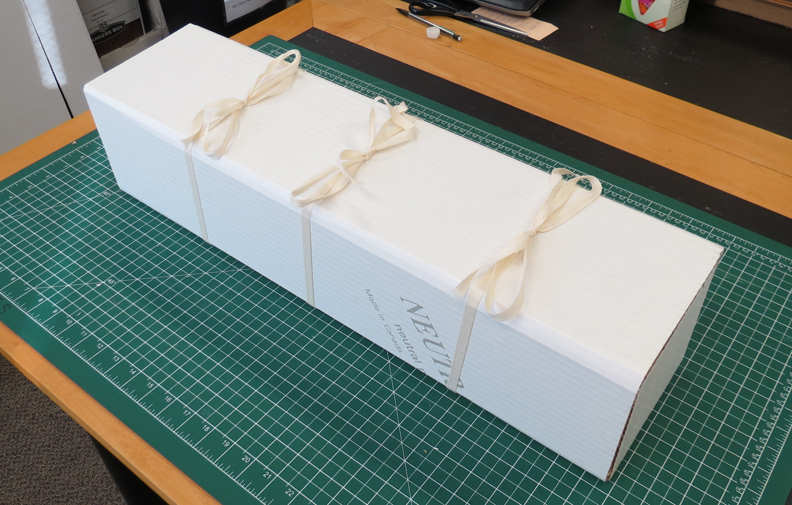 By folding up the vertical piece to enclose the box, you can mark where the flaps need to be and fold them carefully so that they can be tucked inside the box. Next, go back a step. Decide how many ties you require to keep your box secured. I decided on three. 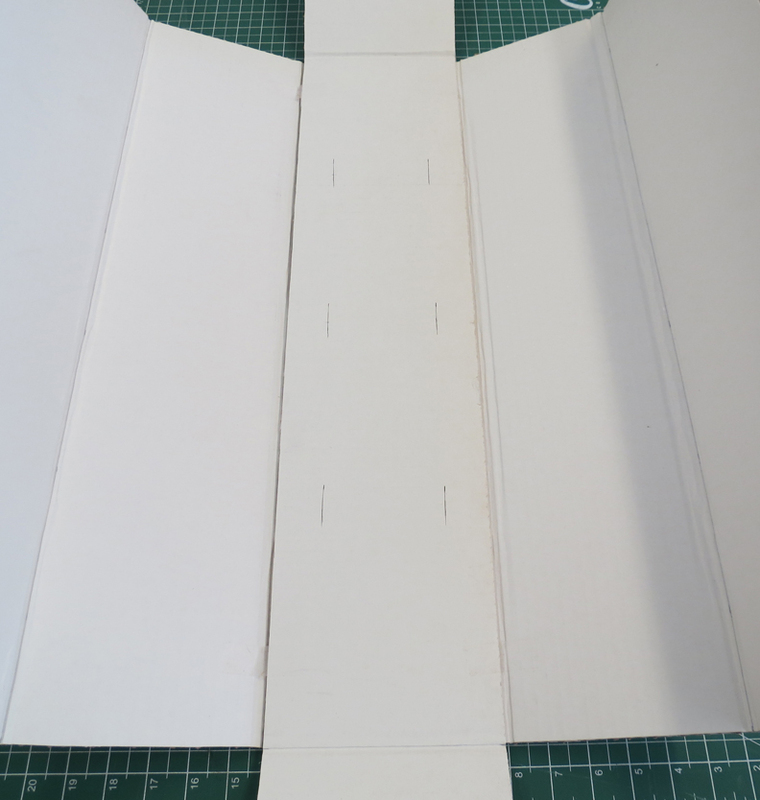 Use the box cutter to make rows of two slits, being sure to cut through both pieces. 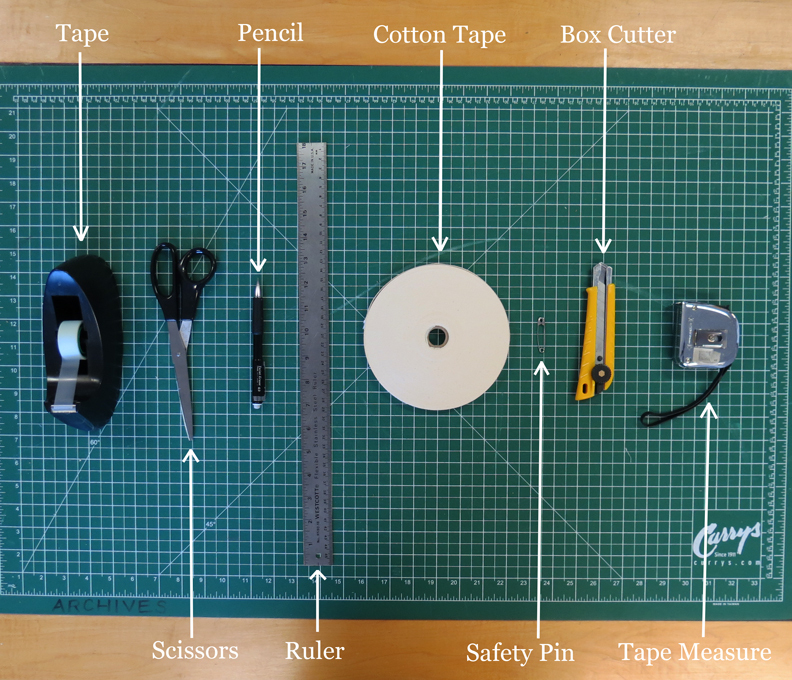 Next, cut your cotton tape into lengths that can be wrapped around the box and tied. 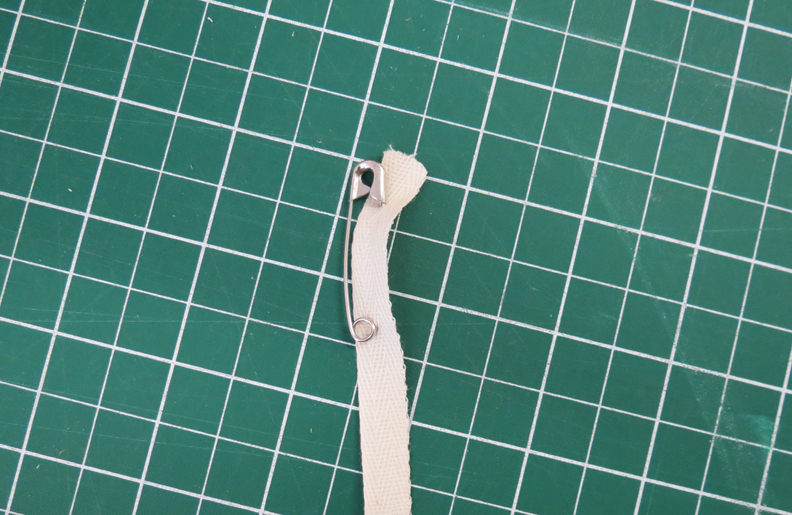 To thread the cotton tape through more easily, I used a safety pin as a 'needle'. When the tapes are threaded through, pull them so that the boards are fixed in place. Remove the temporary tape. Now you're ready to box up the object. 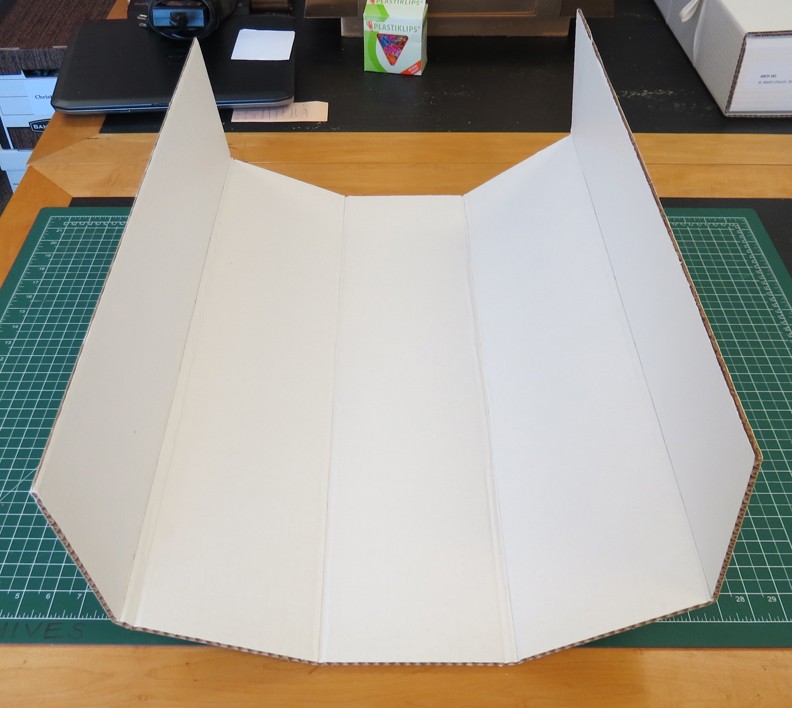 Place the roll on the vertical piece, fold up the horizontal piece overtop, and tuck in the vertical flaps. Once the box is closed, tie the tapes to secure. Stick a label on it, and you're done!